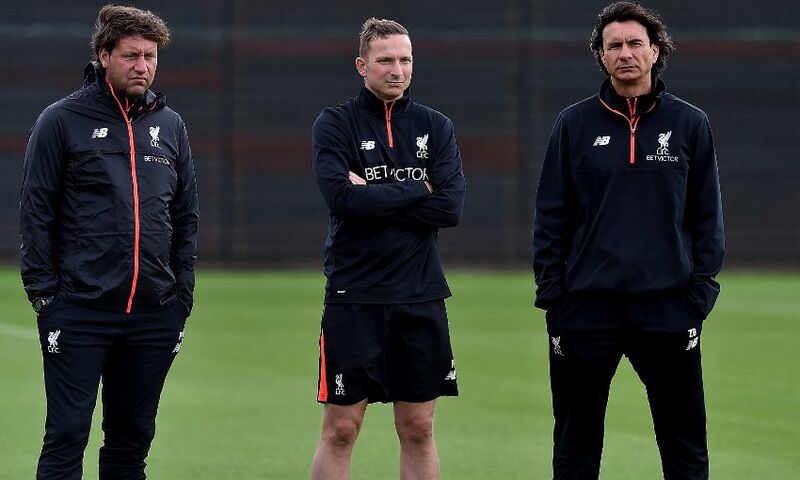 Zeljko Buvac's deep understanding of football typifies the coaching knowledge supporting the Liverpool cause at Melwood, according to Pepijn Lijnders. The team’s first assistant coach joined the club alongside Jürgen Klopp and Peter Krawietz last October as the trio took on a new challenge after their success at Borussia Dortmund. Dutchman Lijnders was already part of the staff set-up and, like goalkeeping coach John Achterberg, remained in position to support the manager as the Reds entered a new era. Almost a year into their tenure, he considers the wisdom they pass on to be unrivalled – and not least that of Buvac, who was known as ‘the brain’ by Klopp and now has a new nickname. “The boss called him a coaching book. I call him a coaching computer – unbelievable,” Lijnders told Liverpoolfc.com. “I am doing the pro licence in Wales but I feel that this is the pro licence plus, plus! It’s his knowledge about the past. “I had the privilege to work at PSV with [Guus] Hiddink and [Ronald] Koeman, at Porto with Andre Villas-Boas, Vitor Pereira and Jesualdo [Ferreira], and then here with Brendan [Rodgers] of course. “But this is something special. Lijnders learned from a series of talented managers and coaches before joining Liverpool in 2014, having previously worked for Dutch side PSV Eindhoven and FC Porto in Portugal. In the opening edition of our new ‘Behind the Badge’ feature, the first-team development coach explained how every person is ‘a product of your own environment’. And his current colleagues are perhaps making the greatest impact yet on his own evolution. He said: “In life you meet many, many different people – most of them you pass by, you pass by as well with conversation. Some people have influence on you, they impact you. “Others put a stamp on your personality; at the moment, Jürgen, Zeljko and Peter are putting a stamp on my personality. There are just a few of them in the world you meet. “I was lucky that I met a few at PSV and throughout the past. I was 19 when I started at PSV and I was 24 when I left Holland for Portugal when Porto signed me. “I was lucky that in Portugal I met Vitor Frade, a tactical periodisation mentor, even the mentor of Portuguese coaches like Villas-Boas and [Jose] Mourinho. “He created a training methodology and was really practical about how you can structure your ideas about the game and principles to create specific exercises to train them, always in the game context. I was lucky to meet Vitor at Porto and of course the head coaches. “Then here at Liverpool, as I said, pro licence plus.